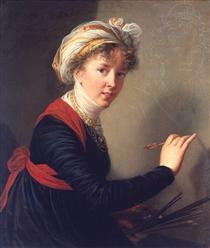 Élisabeth Louise Vigée Le Brun (16 April 1755—30 March 1842), also known as Madame Lebrun or Madame Le Brun, was a prominent French portrait painter of the late eighteenth century. She created more than 600 portraits, a considerable proportion of her total oeuvre of 800 paintings. 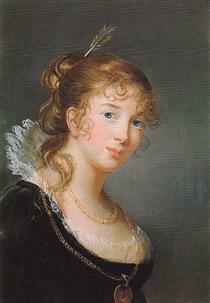 Her artistic style is generally considered part of the aftermath of Rococo with elements of an adopted Neoclassical style. 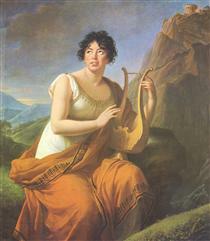 Her subject matter and color palette can be classified as Rococo, but her style is aligned with the emergence of Neoclassicism. 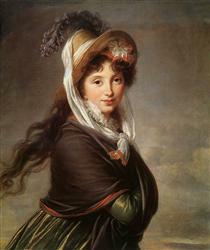 Vigée Le Brun created a name for herself in Ancien Régime society by serving as the portrait painter to Marie Antoinette. 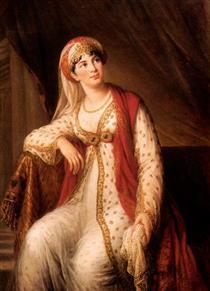 She enjoyed the patronage of European aristocrats, actors, and writers, and was elected to art academies in ten cities. 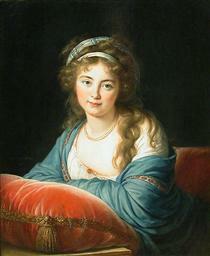 Vigée Le Brun left a legacy of some 660 portraits and 200 landscapes. In addition to many works in private collections, her paintings are owned by major museums, such as the Louvre, Hermitage Museum, National Gallery in London, Metropolitan Museum of Art in New York, and many other collections in continental Europe and the United States. 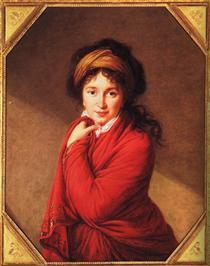 Born in Paris on 16 April 1755, Élisabeth Louise Vigée was the daughter of a portraitist and fan painter, Louis Vigée, from whom she received her first instruction. 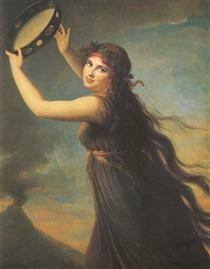 Her mother, Jeanne (née Maissin) (1728–1800), was a hairdresser. 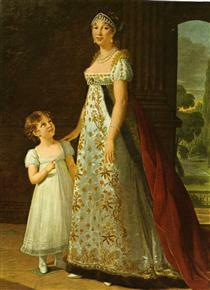 In 1760, at the age of five, she entered a convent, where she remained until 1766. Her father died when she was twelve years old. In 1768, her mother married a wealthy jeweler, Jacques-François Le Sèvre, and shortly after, the family moved to the Rue Saint-Honoré, close to the Palais Royal. 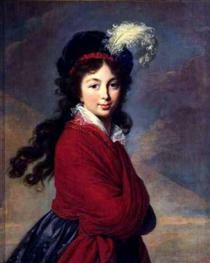 In her memoir, Vigée Le Brun directly stated her feelings about her step-father: "I hated this man; even more so since he made use of my father's personal possessions. He wore his clothes, just as they were, without altering them to fit his figure." 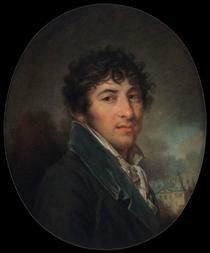 During this period, Élisabeth benefited from the advice of Gabriel François Doyen, Jean-Baptiste Greuze, and Joseph Vernet, whose influence is evident in her portrait of her younger brother, Étienne Vigée (1773). 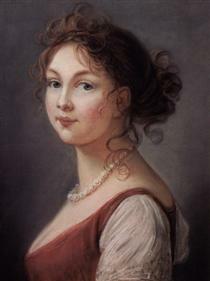 By the time she was in her early teens, Élisabeth was painting portraits professionally. After her studio was seized for her practicing without a license, she applied to the Académie de Saint-Luc, which unwittingly exhibited her works in their Salon. 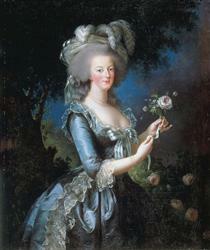 In 1774, she was made a member of the Académie. 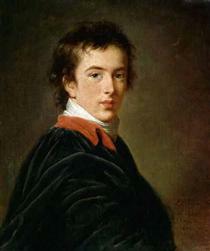 On 11 January 1776 she married Jean-Baptiste-Pierre Le Brun, a painter and art dealer. 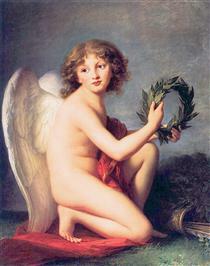 Vigée Le Brun began exhibiting her work at their home in Paris, the Hôtel de Lubert, and the Salons she held here supplied her with many new and important contacts. 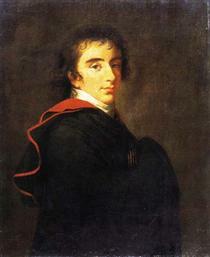 Her husband's great-great-uncle was Charles Le Brun, the first director of the French Academy under Louis XIV. 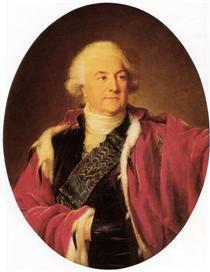 Vigée Le Brun painted portraits of many of the nobility. 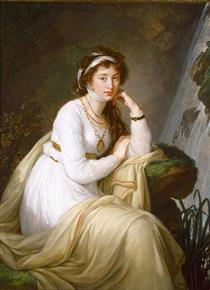 On 12 February 1780, Vigée-Le Brun gave birth to a daughter, Jeanne Julie Louise, whom she called Julie and nicknamed "Brunette." 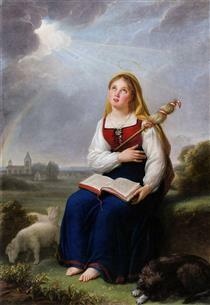 In 1781 she and her husband toured Flanders and the Netherlands, where seeing the works of the Flemish masters inspired her to try new techniques. 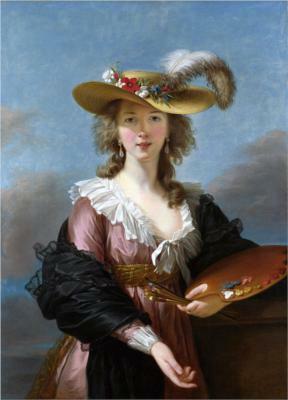 Her Self-Portrait with Straw Hat (1782) was a "free imitation" of Peter Paul Rubens' La Chapeau de Paille (ca. 1622-25). Dutch and Flemish influences have also been noted in The Comte d'Espagnac (1786) and Madame Perregaux (1789). 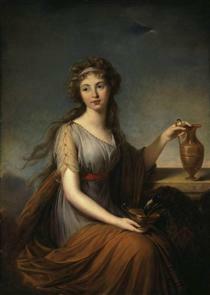 Lady Hamilton Louise Elisabeth Vigee Le Brun ?